Learning how to sing like Chris Cornell is going to take time, perseverance and consistent practice, but with these 10 tips to sing like Chris Cornell, you’ll be wailing like a banshee and singing your favourite Temple of the Dog, Soundgarden and Audioslave songs. As the charismatic and gifted singer of Soundgarden, and the unlikely lead singer Audioslave tapped after Soundgarden’s initial break – Chris Cornell not only wrote some of the greatest hits of the 90’s, but also wrote songs for Alice Cooper and was covered by Johnny Cash respectively, two honours that very few musicians can boast. Chris Cornell’s extensive range came from years of training and development. While there was a dangerous element to the intensity of Chris Cornell’s voice, you can achieve the same level of power and resonance with proper training and by following these 10 tips to sing like Chris Cornell. 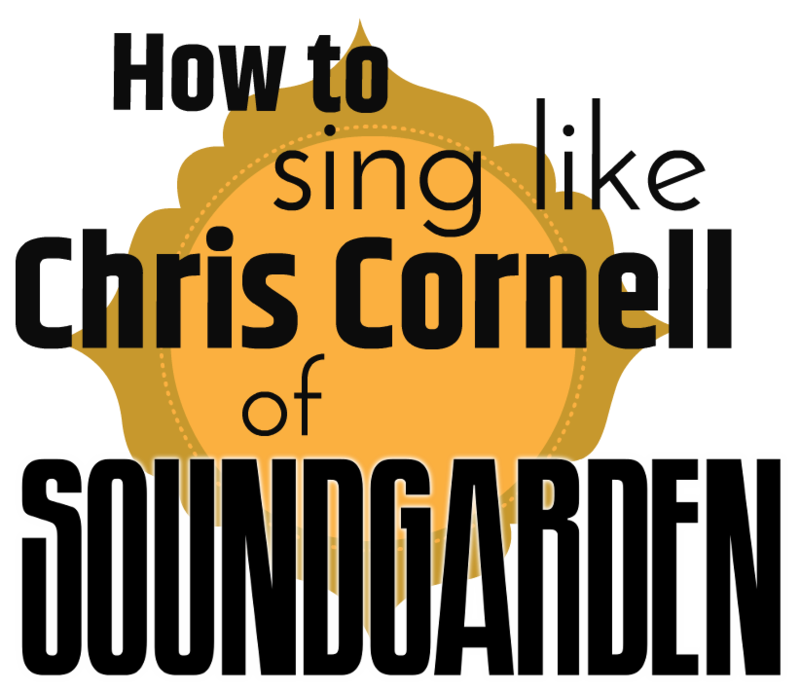 Excuse the pun – learning how to sing like Chris Cornell Soundgarden starts with your posture. Your singing voice is only going to be as strong as your foundation, so make sure you set up your posture like so for the most powerfully resonant sound: Head up, Shoulders back, Chin Parallel with the floor, Ribs wide. This posture, coupled with the honorary extra step of widening your ribs will allow you to moderate your airflow purely through extension of the diaphragm instead of the rib and chest contraction we often associate with breathing in speech. Vowel shaping is an incredibly important to healthy singing technique and building a powerful voice. While we often pronounce our vowels in speech using our articulators, correct vowel creation in singing depends on your tongue shape, resonant space and vocal tract width. Learn to shape your vowels correctly for killer vowels and powerful resonance every time you sing. The basic shapes are EE (tongue up), AH (tongue down) and OO (tongue back) – yes, it really IS that easy and simply to create your vowels in the right manner. The first step to increasing your Vocal Range is to connect chest and head voice. By blending frequencies from head voice with frequencies from your chest register, you an create a powerful MIX resonance that retains the rich quality of chest, while enjoying the extensive range afforded by your head register. Building a powerful bridge between your registers truly is the secret key to singing like Chris Cornell and building an impressive vocal range. Sheer volume really has no place in healthy singing technique. If your voice isn’t cutting through a mix or being heard in a live situation, this has less to do with volume than it does frequencies. Think about it, there is absolutely NO way you’re ever going to sing over a 100 Watt Marshall guitar amp – but you can instead sing using a frequency band that doesn’t compete for the same territory as a guitar amp, in essence “filling the empty space” of a room, or recording with only the most efficient frequencies rather than wasting your energy on ones that will simply get lost in the mix. Each vowel has it’s own unique ‘width’ in the vocal tract, and every register of your voice requires specific tuning to each vowel to ensure the most efficient use of your frequencies. Have you noticed that singers who shout and yell lose their “EE” vowel, and instead always bellow an “EH” on a word like “free” or “see”? This is the result of improper vowel tuning – you can retain the clarity of each of your vowel sounds while also facilitating an extensive and connected range by learning to alter and permit resonant space appropriately for each of your vowel sounds. Tuning your resonance, allowing resonant space and navigating your breaks by using the right frequencies is one of the most important aspects of learning to sing like Chris Cornell. I often see this in singers who focus on scales as a singing approach rather than physically developing each of the elements of their voices like onsets, resonance, vowels and register release. If you are singing scales in a ‘stepped’ manner where you focus more on the note than what is between the note, you are building staccatto into your technique as a bad habit, and you’ll likely struggle with onsets, syllables and consonants as you continue to progress as a singer. 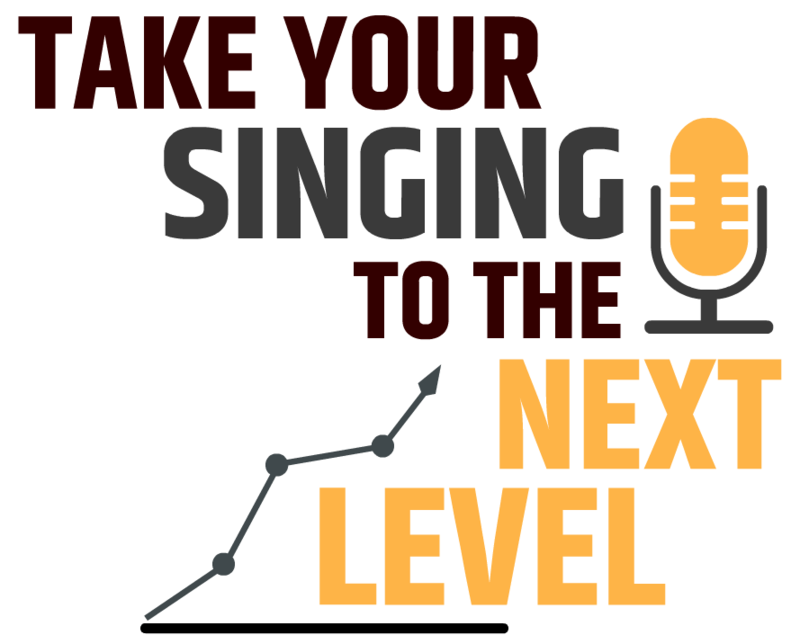 Learn how to sing with a smooth legato delivery for the best use of your vocal mechanism, and a super free, resonant and easy singing tone that is confident, powerful and controlled. I like to start each day with a clean slate, or what is sometimes called Tabula Rasa. If you warm up each day as though your voice is a completely new instrument, you will be able to intuitively make small modifications and tweaks to your technique day to day as your voice and breathing fluctuates – allowing you to build the most consistent singing mechanism that is as controlled as it is confident. Think about it, Chris Cornell wasn’t just the Audioslave Singer Soundgarden Screamer and Temple of the Dog crooner, he was able to be all of these things at the same time due to how versatile his singing voice was. A poppy folk song like Nearly Forgot My Broken Heart is JUST as powerful as Black Rain or Let me Drown – this is because Chris Cornell treated his voice accordingly for each song and project and started with a clean slate without trying to make Audioslave sound like Soundgarden, or his solo records sound like Temple of the Dog. Start each day, and even each new approach you try as Tabula Rasa – a clean slate. A rusty voice is a poorly warmed up voice. Not only do you benefit from aligning your thought process and developing your coordination properly through a warmup, there is the physical element of bloodflow that occurs after a gentle and considerate warmup – make sure to warm up your voice properly before singing a song like Rusty Cage so that the only rust is in the lyrics, not your voice. Vibrato is actually a result of healthy singing technique, not a technique in itself – if you’re singing with a forced vibrato and ‘wobble’ as it’s often caused, you’re hindering the progress, development and health of your voice. I like to think of natural vibrato as a ‘sign’ or ‘feedback’ from your voice that you are on the right track – if you intend to sing a straight pitch but it comes out with a beautiful and powerful vibrato oscillation, your voice is happy and healthy. If you waver and wobble your pitch instead, you need to rethink your approach to singing. If you’re straining, you’re simply not singing correctly – and you’re definitely not singing like Chris Cornell. Have you heard “Say Hello 2 Heaven” or “Black Rain” and how easily Chris Cornell’s high range resonates? This is because he wasn’t straining – even if there is a stylistic intensity in his delivery. Learning how to sing like Chris Cornell takes times and patience. Make sure your singing technique involves a practical way to access your MIX register and a simple approach to tuning resonance and connecting your registers so that you can sing high and powerful Chris Cornell Soundgarden songs with ease and confidence. Learning how to sing better is more about coordination rather than physical effort or muscular force – develop your onsets, mix register, vowel shaping, resonance tuning and of course the support of a rock-solid foundation for a powerful and extensive singing range. A great place to start learning how to sing like Chris Cornell is this special Mix Voice lesson that will show you how to bridge your registers and make a solid connection between your chest and head voice. Remember, Foundation truly is the key to developing a powerful singing voice like Chris Cornell. If you have any questions about learning how to sing Chris Cornell Soundgarden or Audioslave song, leave any feedback or questions below!